Irondale, a suburb of Birmingham; has always been a big part of railroading. The town was the site of Southern Railway's Norris Yard and shops. 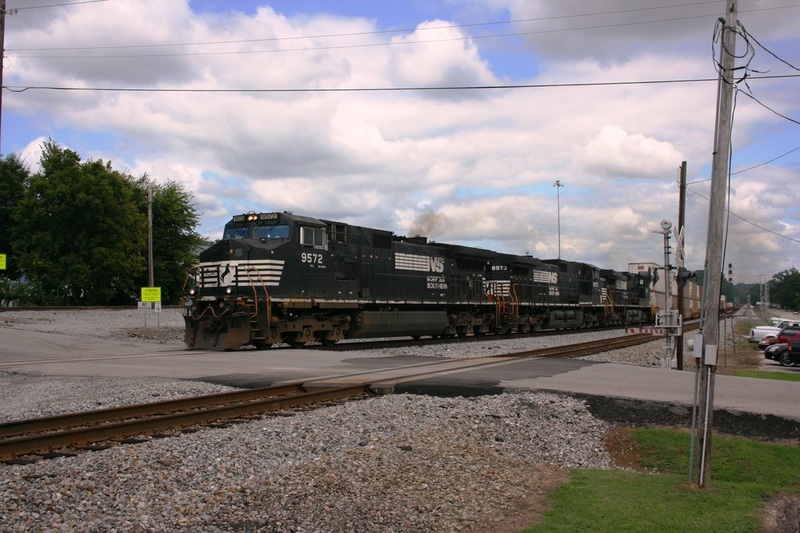 The shop building later became home of the Norfolk Southern steam program (1980's) on Norfolk Southern. After the steam program ended, so did use of the shops. 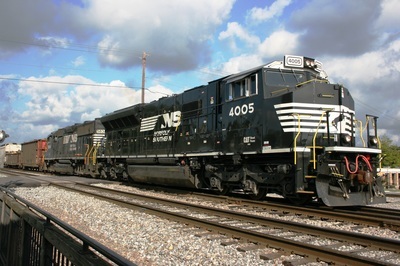 The yard is still a major hump yard of the NS system. 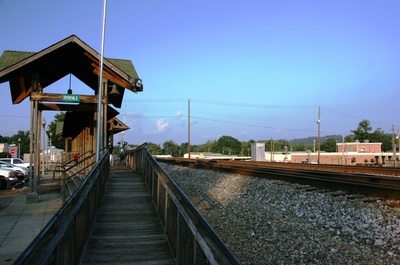 The yard is off limit to visitors, however the City of Irondale realized the yard draws enough visitors and built two train-watching platform on the west end of the yard. A Southern Railway caboose is also displayed on the south side of the tracks. 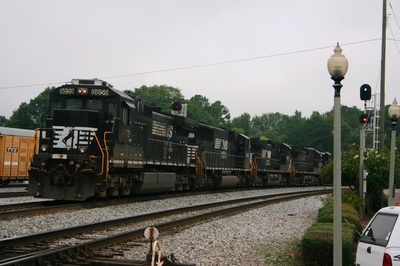 Irondale is a great place to spend a day of train watching when in the Birmingham area. 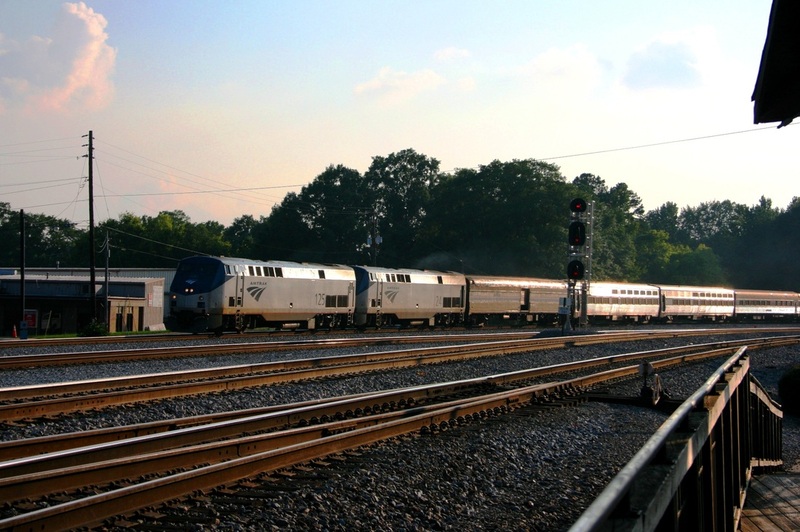 Rail Traffic: One can expect around 50 trains a day past the viewing area. Any type of freight train operated by NS can be seen here. Run-through power from KCS, BNSF, and UP is common each day. Amtrak's Crescent passes twice daily, both in daylight. In addition to the passing trains are yard moves; throughout the day yard power will pull a train east of the viewing platforms, then shove the cut of cars east over the hump. of the tracks for an extended amount of time. During my last visit, my friend crossed the tracks to get a shot of a passing train; it was a good hour before he was able to come back to the north side. Restrooms on site: No. A short drive to US-78 will offer several fast food restaurants with restrooms. 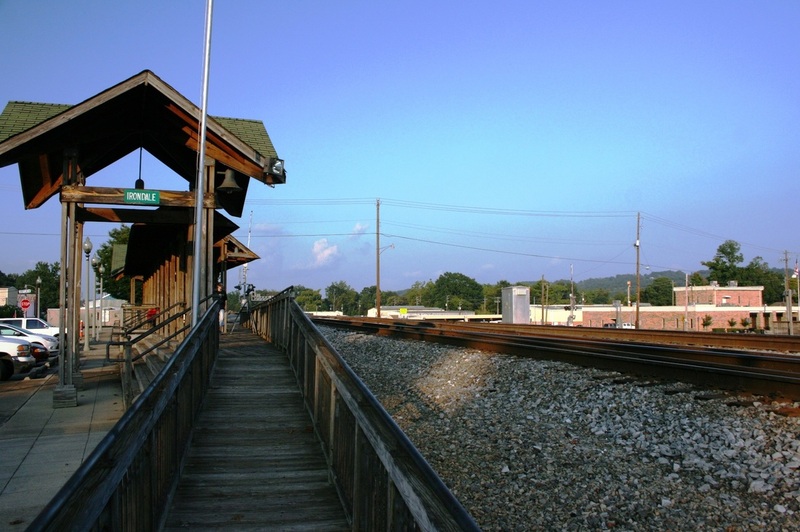 Food: Across from the pavilion on the north side is the Irondale Cafe (aka., Whistle Stop Cafe), open Monday to Saturday for lunch 11am to 2:30pm, and dinner (Thursday & Friday's only, 5-7pm). Other food options can be found just a short drive south on US-78. Picnic Area: YES. (Be warned, there always seems to be ants...I always end up eating in the car). Parking: Ample parking can be found on the north side of the tracks, with additional parking on the south side. Note: During afternoons, parking on the northside becomes slim as shoppers park along the pavilion. Scanner Frequencies: 160.950 (NS Road) / 160.245 (NS Disp.) / 160.830 (NS Disp Link) / 161.430 (NS Norris Yard) / 161.490 (NS Yard) / 161.085 (NS Yard) / 161.505 (NS Yard). 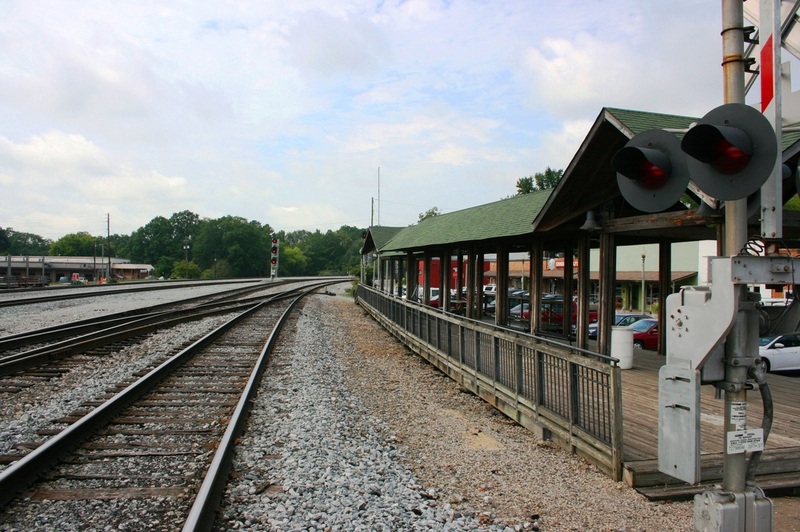 Motels / Hotels: While there are not any railfan motels in Irondale; there are several motels a short drive away. Holiday Inn Express, Hampton Inn, Quality Inn, Americas Best Value Inn are a few of the examples.